1st Monday of every month: Friends of the Library Board Meetings 5 p.m. Meetings will be held at the Macomb Public Library All Purpose Room. .
2nd Wednesday of every month: (except summers) Great Reads Book Club 7 p.m. at the Macomb Public Library All Purpose Room. 4th Wednesday of every month: (except summers) Mystery Book Club 7 p.m. at the Macomb Public Library All Purpose Room. Saturday, 11 a.m. to 2 p.m. at the Library Annex, 109 E. Jefferson St. Features Fiction and Mysteries/Action Thrillers but also includes over sized books, large print books, and all media: CDs, DVDs, and LP records. 7:00 p.m. Speaker: Dr. Tim Roberts on “Civil War Letters of William and Jane Standard” Dr. Roberts is a WIU professor in the History Department. His latest book, “The Infernal War,” was published in 2018. The public is invited to attend free of charge. 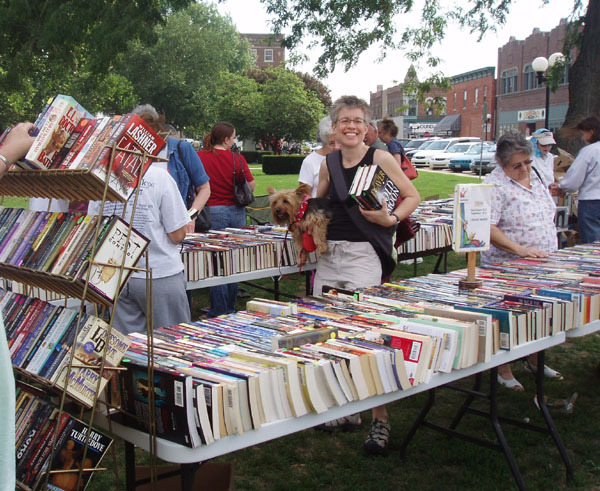 June 27 – 29, 2019: Heritage Days Book Sale at the Library Annex 109 E. Jefferson St.
Members Only Preview Sale: Thursday, June 27 from 4 to 6 p.m.
11 a.m. to 2 p.m. at the LIBRARY ANNEX 109 E. Jefferson St.